Hot dogs and hamburgers are great, and all. But wouldn’t a barbecue be even cooler with a comforting flask of estus soup, courtesy of Dark Souls 3? Video game food is plentiful. Sometimes they’re so awesome, that recreating them in the real world feels the next logical step. Sometimes they’re so bad, that we’ll gag when recalling their hideous pixelated (made-up) tastes forever. Then there are those times they’re as run-of-the-mill as last night’s dinner. Some of the best video game food don’t look appetizing, but their memorability is tied to strange, or interesting circumstances experienced in-game. So along with these ribs I’m planning on eating, I’m going to feed my mind with a handful of food from video game memories from the distant past, and more recent times. Does anyone know the story of nail soup? In it, a man with a nail and a soup pot was approached by an inquisitive woman wondering what he could possibly make with a rusty old nail. The man convinces the woman that nail soup is the best, but he needed a few more ingredients to help finish the recipe. Long story short, he tricked her into buying vegetables, potatoes and the best cut of meat to cook the most delicious pot of soup ever. 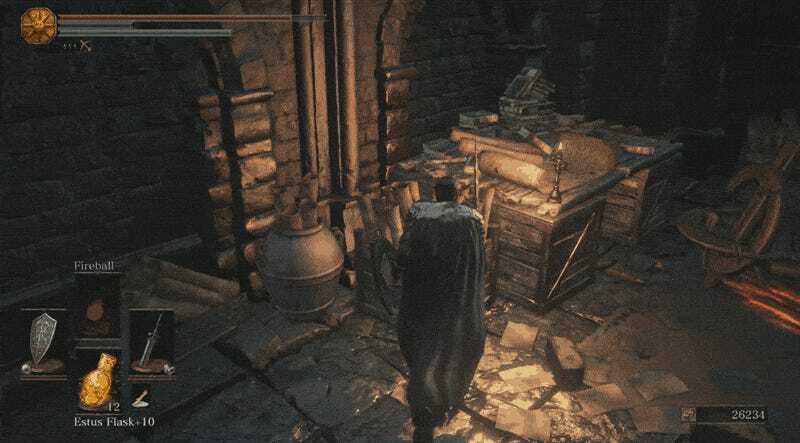 I don’t know how delightful estus soup is—as this memory isn’t actually mine (non-Dark Souls connoisseur over here), but my friend tells me it’s comforting sitting around a big, old cauldron to share this soup with a friendly NPC, as a quiet moment in an otherwise unforgiving game. He relayed the scene as a lovely moment, but I couldn’t help but think about nail soup. 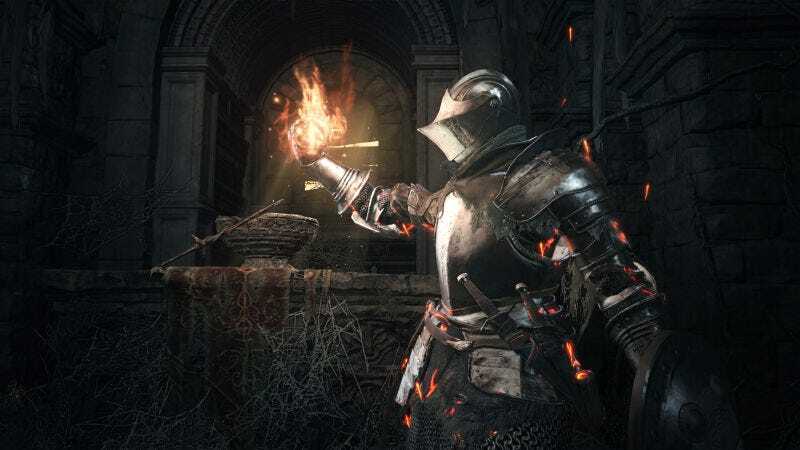 The wits it takes to make nail soup paralleled to the wits it takes to make it out of Dark Souls III alive, to then enjoy a hearty orange glow and health-giving meal in estus soup. The food at Crono’s house looks better. Trust me. Nothing tastes better than a free meal—until it lands you in prison. When you get to the millennial fair at the beginning of Chrono Trigger and observe an unguarded plate of food, what else are you supposed to do?! You eat it. And I, personally, will never stop eating it. Why? Because you’re taken to trial and it’s used against you as testimony in support of your ‘criminal’ ways. But seeing as the trial is rigged, then it doesn’t matter. Eating the food or not will not change the verdict, so might as well enjoy every morsel, right? I’m so cruel I build their requested tea party themes out in the snow. Animal Crossing has made me want fruit-themed furniture in my life. A melon chair, some lemon tables, a pineapple bed...oooohhh. Sweet, delicious, pineapple bed. So yummy looking I want to eat it while I sleep. Thankfully, the adorably pleasant series also has a plethora of food so I don’t have to resort to eating the furniture. Ah, the fruit from the trees. All those apples, pears, oranges, cherries… ::gag! :: not the durian. Hells no. In Happy Home Designer, the food options increase. They’re all perfect little set pieces (and I suspect they’re plastic models) but there’s culinary cuisine from just about every culture around the world. The bowls of ramen, the ice-cream, the sushi, the curries, fish n’ chips… drool. Drool, Animal Crossing. It’s been a long time since I played Kingdom Hearts, and incidentally, it’s been a long time since I’ve had carambola, which is what Kingdom Hearts’ paopu fruit resembles. Carambola (starfruit or five fingers, as I know it) is refreshingly light, and sometimes a little tart. It’s crunchy, and makes a great juice. I imagine those are the same joys Sora, Riku and Kairi enjoy too. They’re quite lucky. I can get the fruit around where I live now, but there’s nothing like my childhood days when I could go into a friend’s yard and enjoy it fresh from their tree, back when I lived in Trinidad. I could use some now but all I have are these purple grapes. Grapes are fine though! Funny how they were exotic to me as a child. But now that they’re in abundant supply, carambola are the things I long for and cannot get as easily. You don’t know all the good you have until it’s gone. With the Ultimate Chef as part of your class in the murder-trial game, Danganronpa 2, you’re probably wondering why I wouldn’t just eat all the amazing food he’s capable of making. If you haven’t played the game yet, then it’s a spoiler I don’t want to ruin for you. But if you have played this visual novel/Phoenix Wright trial simulator crossbreed, then you’ll understand why it’s probably better to eat vending machine snacks. Who doesn’t love vending machine snacks though? So much sodium in every little bag. Danganronpa 2’s vending machine is filled with odd things too but those are okay. As long as it keeps giving those energy drinks, it’ll help stay awake at night in a feeble attempt at not getting murdered by fellow classmates. Yeah, I know. Nothing actually helps that situation. No pumpkins here, or Mint. As it should be. On second thought, nah. Just like Mint’s dislike of pumpkins in this 2000 JRPG, you can keep those things away. Unless there was a pie in it for me, then no thank you. Besides which, I think this isn’t the season for that. This one totally isn’t for me, I swear. It’s not like I’ve eaten dog cat food in the past or anything. Don’t forget to give your pets some fancy feast this day of eating, and chilling with friends. I’ll be giving my Neko Atsume cats the bonito bitz. It looks good. I’m not thinking about eating it. Honest. Although...if I did then there wouldn’t be any left for Tubbs. Hmmm. Some video game food probably tastes horrible. That’s a sad thought for all those characters I’ve sent out on perilous quests. Poor things. Ah well. It builds character. Now if you’ll excuse me, let me get back to these ribs.